Let me just say, coming to JMU was the worst mistake I've ever made. The only good thing about JMU is the opportunity to build resume in the city of Harrisonburg because there was no competition at all. Thanks to that, I am now attending one of the top graduate programs for my field of study - so maybe it was meant to be. Before I go on about why JMU was a terrible choice for me, let me say the good things: people are usually nice, campus is pretty safe, beautiful & clean campus, and cheap tuition. I can't speak for students in the other departments, but I am embarrassed that I am a graduate of this dept. Majority of my classes were worthless and I couldn't believe I had to pay to take such basic and high-school level courses. Quality of students in my major classes were poor and I really worried about them. I couldn't have a decent conversation with most of the students. It blew my mind how many of them lacked basic knowledge. Quality of my professors were pretty disappointing (boring cv's, poor connections, lack professionalism, questionable teaching…etc). Also their expectations from students are pretty low (no surprise). BUT there are few quality professors that are simply just amazing and made me wonder why they teach at JMU. Nothing at JMU was interesting, and I did complain. People at JMU are very proud of themselves and believe that JMU is the best university in the world. By complaining, I made lots of enemies. I didn't care. My expectations for JMU helping me with my future was zero. If you are a bright student, and want to surround yourself with people who are academically driven and care about their future - I don't recommend this school. I learned that school names and rankings matter - they exist for a reason, my friend. Also, if you are all about diversity, don't come here. The international population is slowly growing, but the majority ignores them. I personally grew up in a pretty diverse community, and have pretty diverse group of friends; but I've never been around people who were that racist and closed minded. 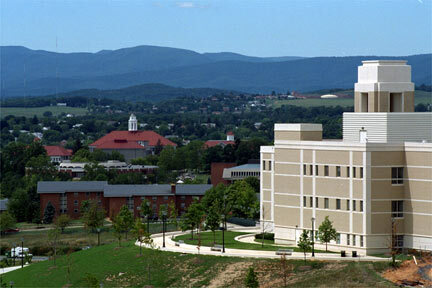 In conclusion, if you bs-ed high school and want to bs college, JMU is a great choice! Go Dukes! Would be extremely interested in knowing your major?